It can take a lot of plotting, planning and scheming to find a way into one of the most spectacular pieces of wilderness in Scotland. Unless you have the time and energy to carry a pack for days, you first have to negotiate your way through a padlocked gate which bars entry to most vehicular traffic. Local knowledge and being able to utter the “magic words” overcame that controversial barrier. But the first 16 miles of bumpy road up the Glen Strathfarrar track were just the beginning. More scheming had resulted in a rendezvous and the opportunity to hitch a lift on a boat all the way up remote Loch Monar. That gave us a fascinating insight into the way of life for folk who live up here all year round and a summit by summit commentary. By the time we reached the stalkers’s house at Pait and finally heaved on our rucksacks to walk five miles further to Loch Calavie we had taken a few shortcuts and learned a lot. 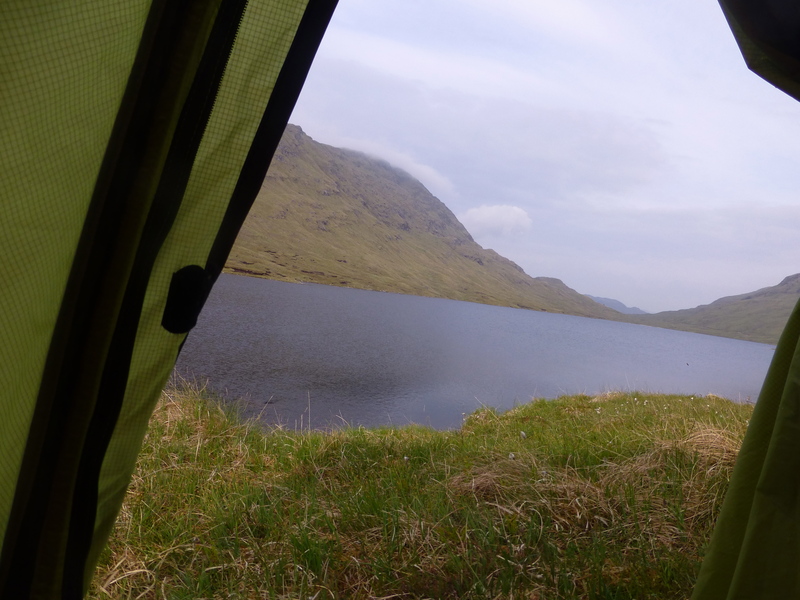 Choosing a campsite beside the loch was a great piece of advice. We pitched our tents near the shore and set off on the slog up Lurg Mhor, the 986m hill which rises straight up from the loch. It’s known as Scotland’s most remote Munro and it’s a steep pull up to the summit cairn. From here we were close to the neighbouring and (to me at least) terrifying Meall Mhor summit. 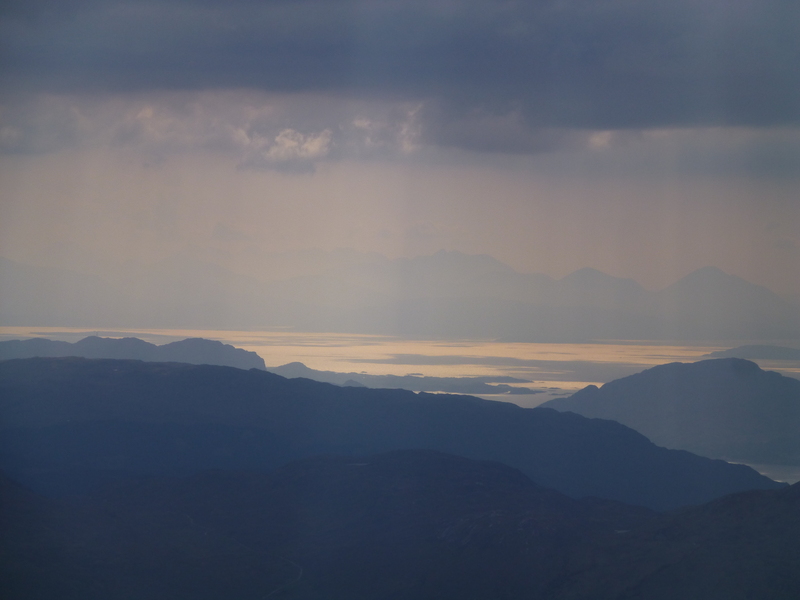 I preferred to turn my back on it and look west instead, over the sea to Rum, Skye and the wonder of the jaggy Cuillin Ridge. We considered tackling Bidean a’Choire Sheasgaich. It was close but would require another couple of hours of effort at the end of an already long day. Instead we enjoyed the long walk back across a mossy hillside carpeted with wild flowers to stop for the day and cook down beside the water. I fell asleep to the sound of birds and the scent of a Highland hillside in June. No midges. No phone signal or internet access. Just peace and the stars.